With a spectacular view of the Arenal Volcano, natural hot and cold springs, four unique dining experiences, and an impressive full service spa, The Springs Resort and Spa at Arenal promises to overwhelm you in every aspect of quality, service and design. A Galápagos expedition cruise, enjoyed aboard Silver Galapagos, brings you to one of the most isolated places in the world to encounter an abundant variety of wildlife species that is incredibly unique and found nowhere else on Earth. Lying just off the western coast of South America, the Galápagos archipelago is inaccessible to most, yet this isolation has allowed nature to develop in ways exclusive to the islands. Explore the intriguing world of the Okavango Delta, a World Heritage Site. Fly over unreachable, wilderness regions on a scenic helicopter flight.Discover the heart of Zambia on a community walk through the villages, and meet the people who call the riverbanks around Royal Chundu home.Experience personal butler service and exceptional guiding by Singita's accomplished game rangers - ensuring that you travel in style and comfort every step of the way.Enjoy time outdoors with a romantic picnic, set on the banks of the Zambezi River, complete with Persian carpet and a relaxing hammock. Here, breathtaking desert vistas blend with intriguing Native American culture and pampering amenities to create a hotel designed to please every guest. Discover your own perfect vacation with championship golf, luxurious Spa Avania, water playground, tennis or Camp Hyatt Kachina. 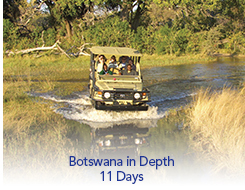 An opportunity to sample the thrill of safari in one of Africa's most beautiful and game intense destinations. Breathtaking Victoria Falls provides a dramatic backdrop for game drives, walking safaris and boating excursions through the lush and lovely game reserves. 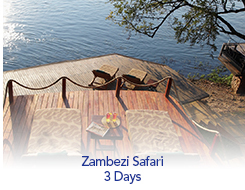 Mosi-oa-Tunya National Park is situated along the upper Zambezi, stretching from Victoria Falls for about 7 miles upriver. The 53 room all-suite hotel is set on 27 acres and features panoramic view of the majestic Arenal Volcano. Explore the wildlife-rich plains of the Maasai Mara - Kenya's premier game reserve and home to all of the big five.Discover the spice island of Zanzibar - the perfect place to unwind at the end of a safari.Experience the magic of the Seronera valley in the heart of the central Serengeti, and enjoy direct access to the wildlife and bush from your luxury unfenced camp.Enjoy an unparalleled experience with the giraffes vying for your attention at the breakfast table, the front door and even your bedroom window. The Fairmont Empress Hotel features 464 luxuriously appointed guestrooms and suites, Willow Stream Spa, regarded as one of the best spas in Canada, professional meeting facilities, top notch restaurants, and many more fine amenities. Discover a PONANT itinerary that explores the essential towns and sites of South Africa's wild east coast. At the crossroads of the Atlantic and Indian Oceans, embark aboard Le Lyrial on a 9-day cruise between Cape Town, mother-city of the country, dominated by Table Mountain, and Durban, a cosmopolitan seaside city. The three towers of the Fiesta Americana Condesa Cancun surround a main atrium with lush tropical foliage, cascading waterfalls and Cancun's largest free form swimming pool. A complete health club, tennis, and a large powdery, white sand beach, leading to the sparkling turquoise waters of the Caribbean are also here for your enjoyment. Voted the "World's Most Romantic Resort" year after year. Come explore the Caribbean Grove, a charming seaside garden oasis graced by meandering pathways, majestic palms and cooling Trade winds. Then step into a realm of chic sophistication where European grandeur unfolds from the hillside to villas-by-the-sea at the Six-Star, all-suite Mediterranean Village. Embark with PONANT aboard Le Boréal for an unforgettable expedition cruise to the heart of the wonders of Arctic Alaska. Over 15 days, from Nome to Seward, you will have the unique opportunity to sail in the Bering Strait and to discover extraordinary landscapes combining ice, volcanoes and Arctic tundra. 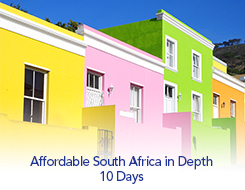 This well balanced journey starts with several days in beautiful Cape Town, includes the Cape Peninsula and famous Kruger National Park, where you enjoy game drives and ends in South Africa's largest city Johannesburg, where among other sites you visit Soweto famed for its struggle against Apartheid. From adventures by land to underwater exploration, the Santa Barbara Beach & Golf Resort has something for everyone. Indulge in endless sun or swim in calm, clear waters along the pristine white-sand private beach or get out on the water and explore it yourself. This exclusive boutique hotel is located in the Arenal Volcano National Park, host to one of the world's highest concentrations of tropical plants and wildlife. Sitting on an unspoiled mountain, the secluded luxury villas are surrounded by the lush vegetation of Costa Rica's pristine rainforest, and bounded by a creek and underground mineral thermal springs. El Mangroove is a luxury boutique resort with an all-inclusive option, located right on Playa Panama overlooking Papagayo Bay. El Mangroove's resort includes 85 suites of great design, impeccable service, numerous amenities, and access to a tranquil beach, making it perfect choice for couples and families alike. 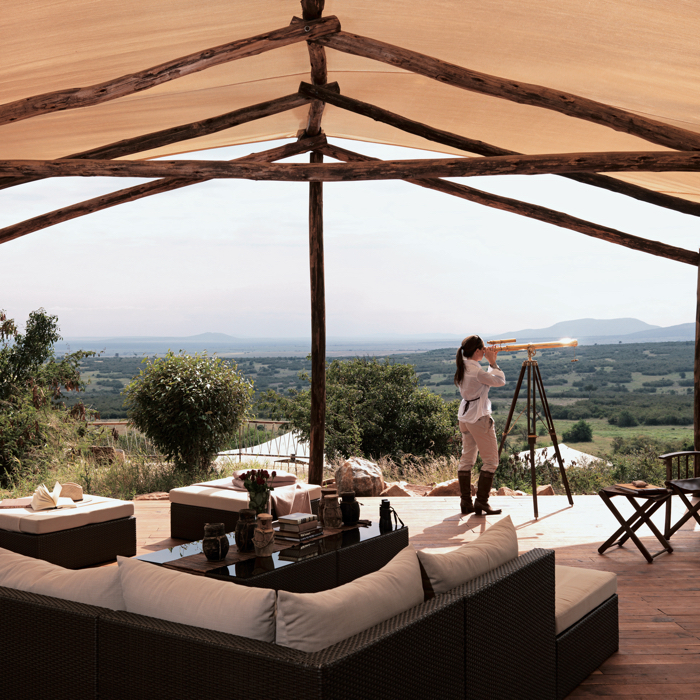 Explore beautiful Cape Town on privately guided sightseeing tours, including a spectacular helicopter flight along the sparkling coastline.Discover ultra luxury at Lion Sands Ivory Lodge, where elegant interiors, enhanced by the surrounding African bush, makes for a complete sensory experience of light, sound, flow, wood, water and air.Experience the thrill of searching for Africa’s wildlife, on twice-daily game drives on Lion Sands Private Game Reserve.Enjoy the serenity of your very own treehouse suite on an exclusive island in the middle of the mighty Zambezi River. These personal encounters provide a human touch that complements the grandeur of the South Island's renowned natural beauty, with its soaring peaks and waterfalls and its serene lakes and pastureland.